Two weeks after Apple missed its deadline to launch iTunes Match, Google is ready to unveil its own Android music shop on Wednesday. The search giant’s music store, coupled with the beta cloud music service unveiled in May, will rival Apple’s unreleased vision of both selling and storing music in the cloud. 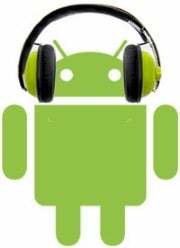 Google announced a special event on November 16 where the company is expected to reveal its own music store for Android devices. Several screen shots purportedly of the Google Music shop show song pricing will be in line with both Apple’s and Amazon’s services, ranging from 99 cents to $1.29 per song. One screenshot also shows a "Free Song of the Day" section, which would help new artists get their music mainstream (Apple has a free single of the week section in iTunes too). The Google music store is expected to be closely linked with Google Music, a beta service the company introduced in May, which allows you to upload to the cloud up to 20,000 songs and stream them via a PC or Android app. Upon its debut, Google Music notably omitted a music store to accompany the cloud storage, as Google failed to secure deals with record labels. For the music shop, Google seems to have partnered with at least one record company, Universal Music Group, while reports indicate Sony and Warner are not on board yet. Negotiations with record labels are also believed to be holding off the launch of iTunes Match, Apple’s $25-per-year service that scans your iTunes music library and then matches it to Apple’s master copies in the cloud, so you can download them on up to five iOS devices that you own. Apple previously said the service would be available by the end of October, yet two weeks into November, the service is yet to launch. The launch of iTunes Match shouldn’t be too far off, though. Apple sent a new iTunes beta to developers (10.5.1 Beta 3) that "includes a number of important stability and performance improvements for iTunes Match." The general public still does not have access to the service, although some users can already see shortcuts for iTunes Match on iOS 5 devices and the Apple TV.